When a Reaper tries to poison Gwen, but someone she cares about drinks the stuff instead, Gwen is absolutely furious. As Nike's champion, she's used to threats coming at her left and right, but you don't mess with her friends. After what they did to Logan, this feels like the final straw. So when they find out there is only one place to find the cure, Gwen and her friends know it's a trap. But Gwen is more than ready to bring the fight to the reapers, so she doesn't hesitate one bit to take the journey, even if it may mean her death. This time, the reapers will pay. 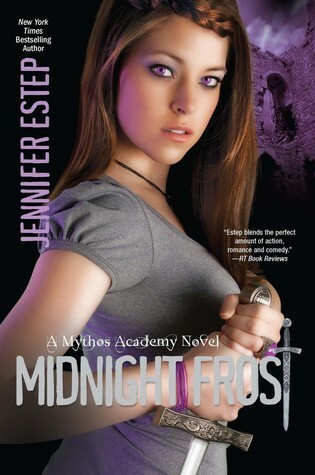 While I enjoyed MIDNIGHT FROST, it felt more like a transition book since nothing really important actually happens. Honestly there was only one section that I felt really furthered the plot, aside from the Logan and Gwen issue of course, but I'll get into that in a bit. The rest of the book seemed mostly to be a wild goose chase to save the person who was poisoned in her place. I guess when it comes down to it, what really frustrated me about the whole plot was that they knew up front that they were heading into a trap, and yet, I just don't feel like they took that seriously enough. I mean I get that this is a YA book, and it would be be rather boring if the adults constantly took over in the face of danger. But, I just think going into a Reaper trap should have warranted more back up than just one teacher and a group of Mythos students, no matter how strong or talented they are. I guess it just really lessened the threat level in my eyes, and made me feel separated from the story and action. So, now getting to the Logan and Gwen issue. Honestly, this was the most frustrating thing for me about MIDNIGHT FROST. Gwen (and I) were left reeling at Logan's actions. Not the ones controlled by Loki, where he almost killed her, but his abandoning her afterwards is what really destroyed her. So, I was really hoping to see this issue playing a large part in this book, especially since nothing was really revealed in Logan's novella. Unfortunately, much to my dismay, Logan was still no-where to be found for most of MIDNIGHT FROST. Granted, this did allow time for Gwen's strength and growth to be shown, but I would have much much rather have spent that time seeing them work out their issues. Now this next part will be a small spoiler, so please skip this if you don't like that sort of thing. Fair warning. So eventually Logan does show up, and you would think there would be this huge reunion scene, but due to messy circumstances there wasn't. Even worse was that they never really talked about things. In fact I just felt rather let down by the lack of attention this major issue was given, and it really left me feeling detached since I'm such a romance junkie. 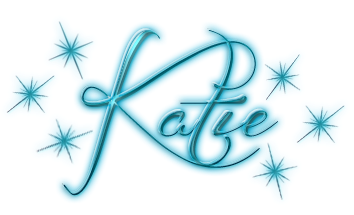 Even though throughout this review I've mostly expressed frustration, I did enjoy MIDNIGHT FROST, and I didn't have an issue with my attention straying from the book. Would I have preferred more action/plot momentum or more focus on the romance issues? Absolutely. However, when it comes down to it, what matters most in the end was whether or not I was entertained, and if the book was enjoyable, and that's something I can easily say about this book.